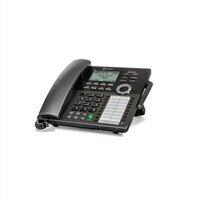 This sleek, 2-line desktop phone is perfect for growing businesses and can meet many communications needs. No ethernet cabling or extra adapters are needed, and DECT 6.0 technology is built in. Ooma DP1-O Wireless Desk PhoneThis sleek, 2-line desktop phone is perfect for growing businesses and can meet many communications needs. No ethernet cabling or extra adapters are needed, and DECT 6.0 technology is built in.